An Asian tourist has been caught on camera showing a sea star on a beach at Coral Island. 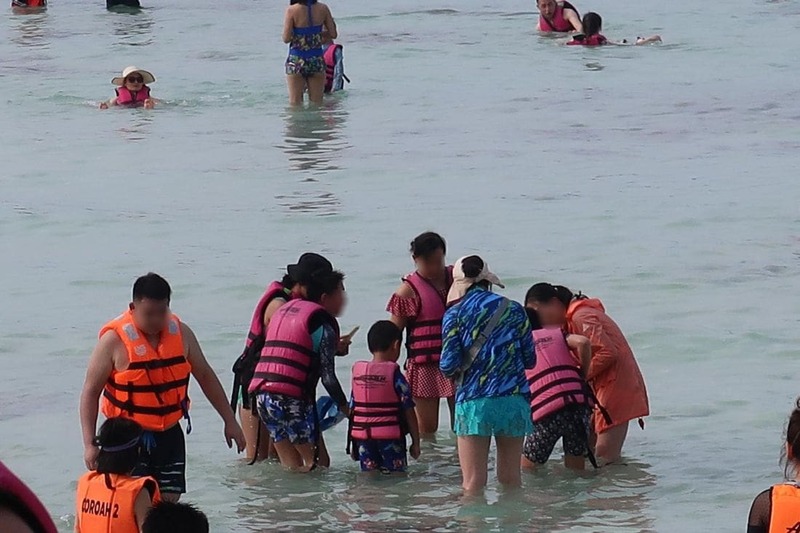 Siriwan Kawprasert, a local on the island, has reported to The Thaiger that many Chinese tourists have bringing sea stars from the sea to the beach. Locals have warned them to put them back where they found them. Khun Siriwan told The Thaiger that she saw tourists doing this almost every day at Coral Island off Phuket. She is happy that many tourists are visiting the island but she also wants them to understand and care for the local marine life. Chalong Police are trying to track down a foreign man caught on camera carrying a sea star along Chalong Pier last Tuesday. Next articleI Love Pattaya Tattoo… Real or Fake?